Back in May, Facebook held its F8 developers conference where it announced new features for its Facebook family of apps. More specifically, it was at this event that WhatsApp was officially going to get group calling sometime in the future. Today, WhatsApp has officially announced that group calling for both voice and video is finally here. The messaging app also shares that WhatsApp users spend more than 2 billion minutes on WhatsApp calls per day. ✅To start a group call, start a one-on-one video or voice call with a single person. ✅ Then, you’ll see a button at the top-right corner of the screen that will let you add a participant. ✅You can add up to three participants for a total of four people in a video or voice call. To start using this new feature grab the latest version of the app from the Apple App Store or Google Play Store. What do you think about this new feature? have Your Say! using the comment box below. The developers of WhatsApp have actively engaged in war with the distribution of fake news on Whatsapp. In the last update where they made it obvious by indicating whether the message was typed by the sender or just forwarded with a 'forward indicator'. Now the platform has taken the war to another level by restricting the forwarding of messages to just '20' users. 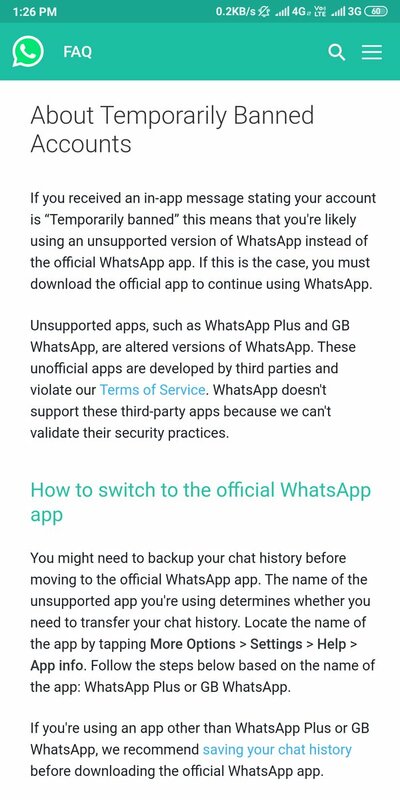 This move by WhatsApp would generate mixed reactions obviously, because for bloggers like me who share links to various groups now are also restricted, but nevertheless it is a welcome move because the issue of fake news is getting out of hands. This update now means the news or information passed by the message can now be easily traced to the source, confirming whether its fake or not. Maybe with this update from WhatsApp the 'forward this message of you want to make heaven to 50 people' will reduce now. Other social platforms and online messaging apps are most likely to enforce similar rules in the future. 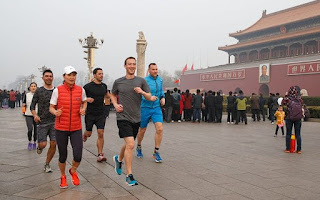 Recall back then in july when the Chinese government blocked users of WhatsApp from sending photos and videos over the app. Well now, Users in China have reported widespread disruptions in recent days to the Facebook-owned service, which had previously malfunctioned in the country over the summer. Experts said the problems began on Sunday, although text messages, voice calls and video calls appeared to be working again on Tuesday, though voice messages and photos were not going through. "It smells like Party congress pre-emptive blocking," said Jason Ng, who researches China's internet at the Citizen Lab at the University of Toronto. China usually steps up surveillance around major events, Ng said.